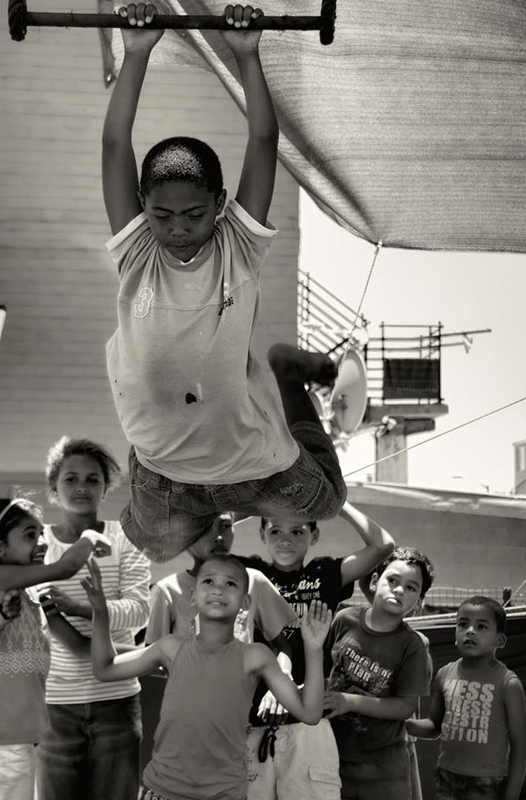 1: Our community outreach program – which aims to inspire and provide an alternative to the youth of Hanover Park and other dis-empowered areas in the Cape Flats. 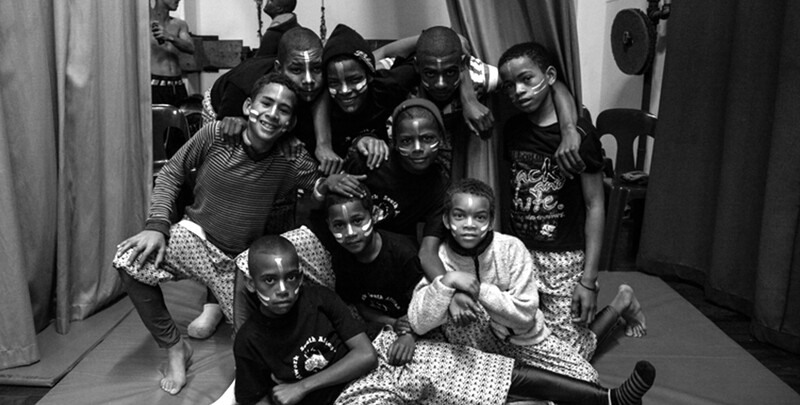 2: Our circus school – where our core group of performers train and create magic. We produce our own events, as well as being available to perform at any function to our clients specifications. 3: Our circus classes and workshops – these are open to the public, schools and organizations. ActionArte was founded by Marlin Roos and Hanne La Cour. Marlin, a second generation circus performer, followed in his father and mother’s footsteps and began in traditional circus at the age of seven with the Dimitri Slaverse Entertainers and enjoyed a prolific early career in many productions and teaching workshops. Before studying circus formally, Hanne was a teacher and theatre maker and participated in numerous internationally based arts and social development exchanges. 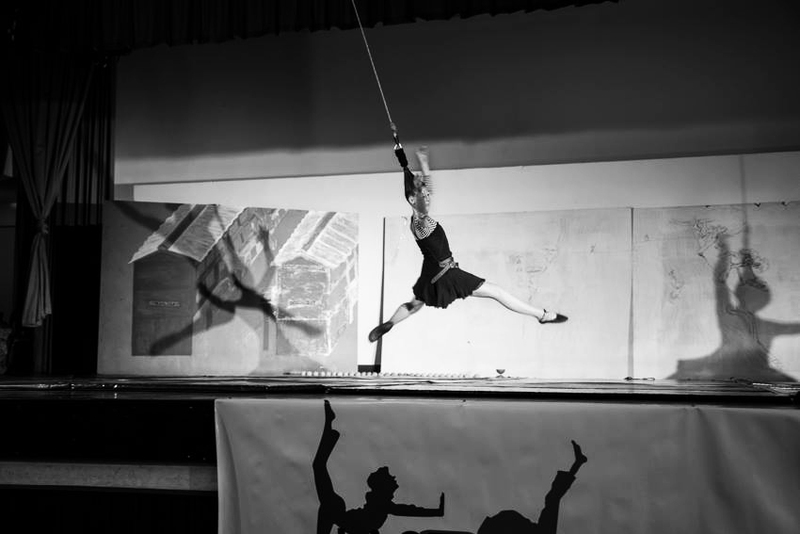 After meeting, the pair started ActionArte as an informal collective in 2009, collaborating with the SA National Circus School and providing workshops in Hanover Park. They sourced and trained circus facilitators to run workshops whilst they continued their professional development including ‘trainers training’ with Cirque du Soleil in Cape Town. Marlin and Hanne transferred to Escuela de Circo Carampa in Madrid, Spain to undertake rigorous professional training, returning on a quarterly basis to oversee the continuance of the Hanover Park programmes, over a period of two years. 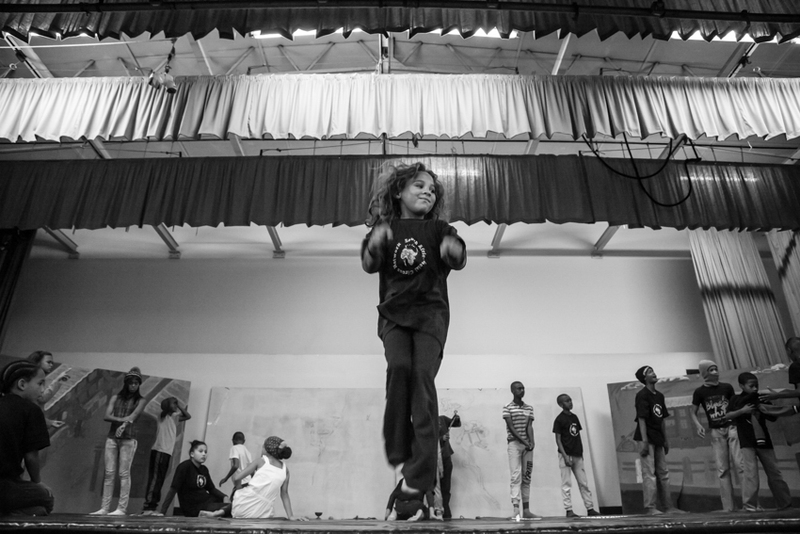 ActionArte Foundation South Africa was formalized upon their return, as a non-profit company and registered as a non-profit organization at the end of 2013, and they launched their first community performance in Hanover Park. Hanne and Marlin have since trained and developed a core troupe with six young emerging professional performers that meets every day to train and develop a commonality and deeper philosophy that speaks to the daily challenges of historically disadvantaged South Africans – about a person having very little material wealth, but having the ultimate wealth of a healthy and strong body and creative mind. ActionArte instigates and develops partnerships with other organisations that share similar goals. In relation to this project, partnering with other arts and youth organisations throughout the year will deepen and broaden the core team’s experience in facilitating children and youth in different contexts. ActionArte is currently collaborating with eMzantsi Carnival, Circle of Life, Sisonke and Unlimited Edition. In order to deliver this specific project, ActionArte is partnering with City Of Cape Town’s Sports and Recreation, Lansport Community Centre and Blomvlei Community Centre and Councillor van der Rheede. For the community showcase and open workshop, engagement will also include City Parks, City’s Metro Police, Disaster Risk Management, Law Enforcement and SAPS. ActionArte built a public persona, playing a significant role in Trash Cabaret, a Cape Town collective that started in 2013, which brought together a variety of art forms including circus, performance art and live music and a variety of artists from different backgrounds. Trash Cabaret’s purpose was to create a world where expression as no limits. This project exposed them to corporate and club work. Since 2013, they have been collaborating on an ad hoc basis with Eva La Cour, with the aim the developing sets of contextualizing audio-visual acts to be incorporated into stage performances. Eva, a visual anthropologist and artist based in Copenhagen, works mainly with spatial and temporal montages in the form of video and context-oriented installations and collaborations informed by fieldwork methodologies. An extensive collaboration between ActionArte and Eva La Cour was premiered at AFUK in Copenhagen, Demark in 2015. They continued to perform in a variety of spaces and events and forge local and international collaborations. In March 2015, ActionArte trained a new intake of young people for performances at AfrikaBurn as part of a collective multidisciplinary performance ‘Flamin’ Amazing Show’ involving large puppetry, live music and narration. 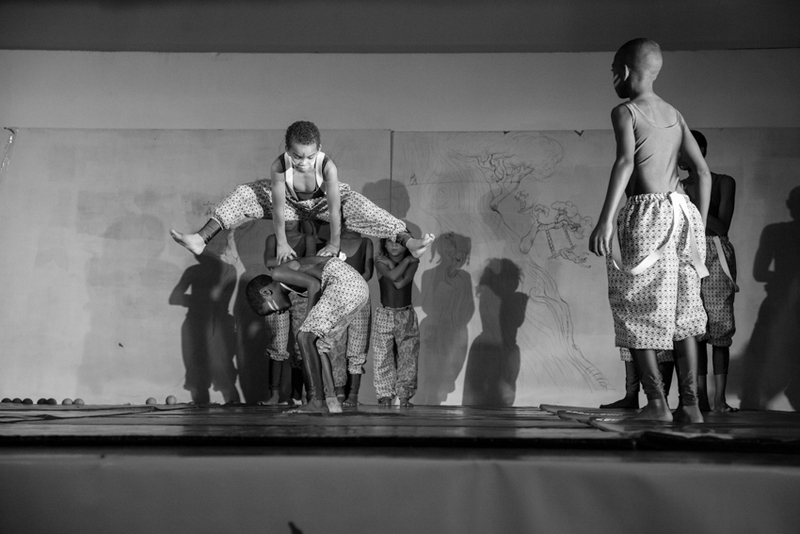 In November they represented South Africa at the first African Circus Arts Festival in Ethiopia, a team of seven was hosted in Addis Ababa, which began the first large-scale intercontinental exchange, involving performances and workshops from nine acts from seven countries. (Please see: http://africancircusfestival.com and https://www.facebook.com/africancircusartsfestival).